One of the main problems in Solar Inverter system is poor charging of Battery during rainy seasons and in cloudy days. The high current Tubular battery requires more than 1 Ampere current for proper charging. To solve this problem, I have designed a” Hybrid Solar charger” and the circuit was published in Electronics for You magazine September 2013 issue. So the charger has two sides. One side gets power from Solar panel and the other side from a Step-down transformer. If the voltage from Solar panel reduces below 9 volts, the charger shifts to AC mode and battery charges via the current from transformer. You can use a Solar panel to power electrical appliances directly during day time if the Sunlight is very good, direct and continuous. So you have to install a Solar panel in a well lit area over the roof top in the East- West direction with a slight angle facing the Solar panel to the sky. So when the solar panel gets sunlight, it generates voltage and current which flows through the cables connected to it. You can have two options. The current can be stored in a battery to power the appliances at night through an Inverter or you can directly use the solar power using an Inverter without battery. Solar power is DC voltage and the Inverter converts this DC into AC to power the AC appliances. So let us see the requirements. 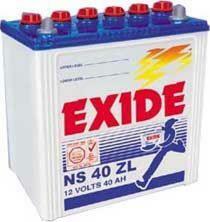 A lead acid battery is composed of series of plates immersed in a solution of Sulphuric acid. Each plate has a Grid on which the active material is attached. In the negative plate, lead oxide is attached as the active material while on the positive plate, pure lead is attached. All the negative plates are connected together. Similarly all the positive plates are also connected together. Monitor your Car battery or Inverter battery with this simple circuit. It always follows the terminal voltage of the battery and gives corresponding LED indications. A 12 volt Lead-Acid battery attains 13.85 volts in full charged condition and Inverter Tubular battery 14.85 volts. So it is necessary to have an idea about the charge status of the battery. If the battery discharges below 10 volts, it needs immediate charging to prevent the deep discharge. The circuit gives three LED indications. If the terminal voltage of the battery rises above 13.5 volts, Red LED lights. If the voltage drops below 10 volts, Green LED lights. If the voltage is normal around 12 volts, both the LEDs remain off.